Classic Ford graphics adorn this cool Ford beverage chiller to speak straight to the heart of Blue Oval fanatics and American Muscle enthusiasts alike. Pull open the double-layer glass door of the 1.8 cu. 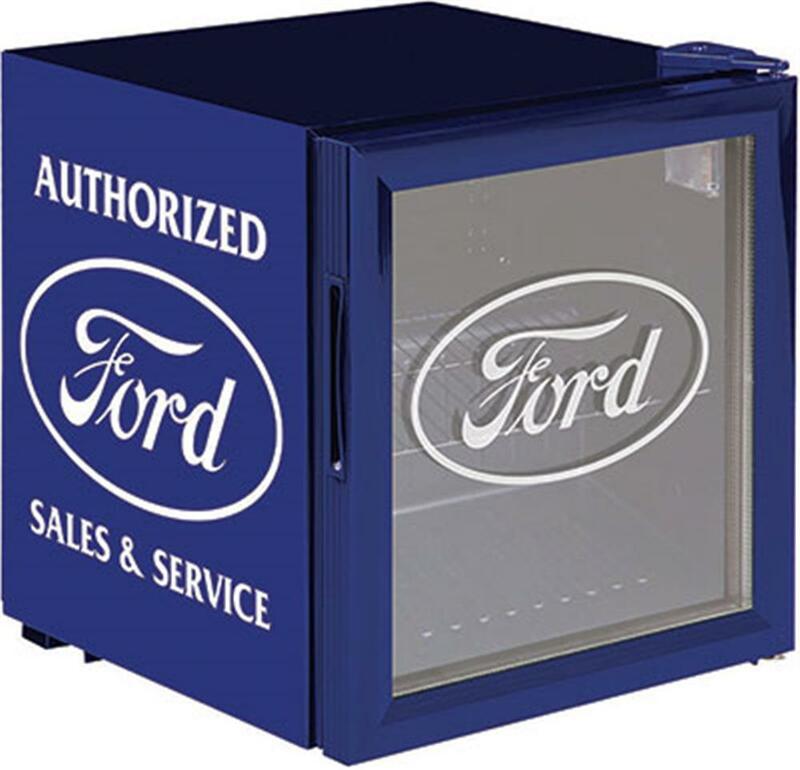 ft. mini fridge emblazoned with etched-look graphics and reach for a frosty cold beverage or snack – the Ford Chiller holds an entire case of cold ones and has an adjustable cooling level, interior light, and adjustable shelf. ETL listed. Measures 19.7" H x 17.1" W x 18.7" D. Weighs approximately 40lb.